The more I hear from Harvard law scholar Alan Dershowitz, the more I respect the guy. He recently went on 970 AM in New York with John Catsimatidis to address the NFL National Anthem protesting. He commented on the legality of a potential rule banning the NFL players from kneeling. “The players are entitled to kneel if the owners allow them to. Now the owners could say ‘no’ because the players don’t have a First Amendment right in relation to the owners. They only have a First Amendment right in relation to the government,” Dershowitz explained. Very succinctly and well put. Dershowitz is correct and seems to actually understand the Constitution and its ramifications. That’s refreshing. 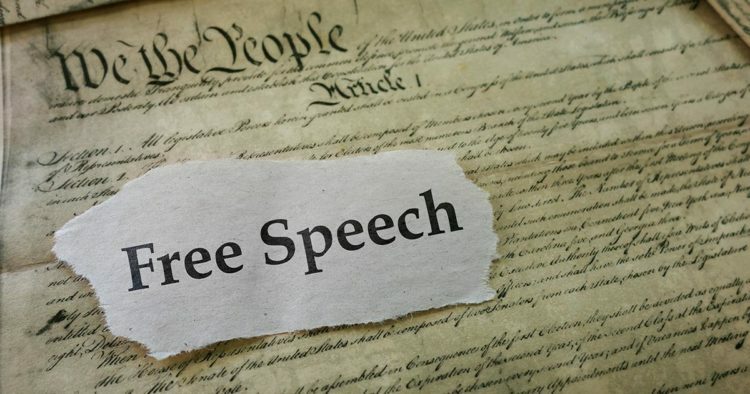 You have a constitutional right to free speech, but not when you are under someone else’s authority. At that juncture, they call the shots. In other words, you can kneel in the middle of the street if you choose, but not while on the clock at work unless you have specific permission from your employer. Your employer also has rights and he owns the business and employs the individuals that work for him or her. Dershowitz also made a point that problems would arise if the government intervened in the situation. For instance, if the government passed a law banning protests of any sort, that would be unconstitutional. At that point, players would then have standing to claim First Amendment violations. “If it’s just a dispute between owners and players, then the owners have a right to impose their will on the players,” he explained. And that is where it should be resolved, not via the government. The full interview is below. Dershowitz’s comments on the protests begin at the 1:00 mark. He believes that the First Amendment is working the way it is supposed to… all sides are having their opinions heard. That is indeed true, except when it comes to college campuses. It’s also exposing the radical nature of some of the players and Americans are exercising their rights by boycotting the NFL over the disrespect shown the National Anthem by these players. From the beginning I have pointed out that the players have a constitutional right to protest, but not while on the job, unless of course the owners condone such actions. Which they seem to. It’s also why I have said that the owners could stop this nonsense anytime they chose to do so. But they haven’t. So, although I would enjoy seeing all of these players fired, that is up to the owners, not the federal government. Obviously the owners all lack the spine to enforce the right thing here and in the end, they’ll pay the price because they’ll go out of business if they keep it up. In the meantime, Americans will turn away from the NFL and Kneel Gate. Most are smart enough to know that at the end of the day, it’s the owners who are responsible here and they have failed their fan base and America.